Buick was on a roll with fourth place in the 1949 sales race, up from sixth place in 1948 and remaining in fourth place for 1950, 1951, 1952, 1953 and 1954 when Buick was all V-8 for the first time ever. In fact, instead of a nearly 120,000 gap between Buick at number four and Plymouth at number three in 1953, 1954 saw the gap close to under 20,000 cars. The Roadmaster was still top-of-the-line for 1954, except of course for the specialty Skylark convertible, which was now a separate series. All Buicks utilized a complete restyle including wrap-around windshields for the first time. The hoods were now nearly level with the fenders and headlights, giving the cars a much cleaner and more modern stance, yet the family resemblance was still there in the big grille, massive bumpers and fender ports. Unlike 1953, which saw the Roadmaster utilizing two wheelbases, the new 1954 cars utilized a single long 127-inch span, with body styles including Riviera four-door sedan, convertible coupe and Riviera hardtop coupe. Buick’s 322 cid V-8 engine was retained, since it was only one year old, but power increased from 188 to an even 200 hp for 1954. The 1954 Roadmaster truly was only one step below the Cadillac. Standard equipment included Dynaflow automatic transmission, full wheel covers, power brakes, power steering, and hydraulic-electric power windows (except on the sedan). A power top and power seat were standard on the convertible. Various interior upholsteries were available, including leather, broadcloth and nylon combinations. 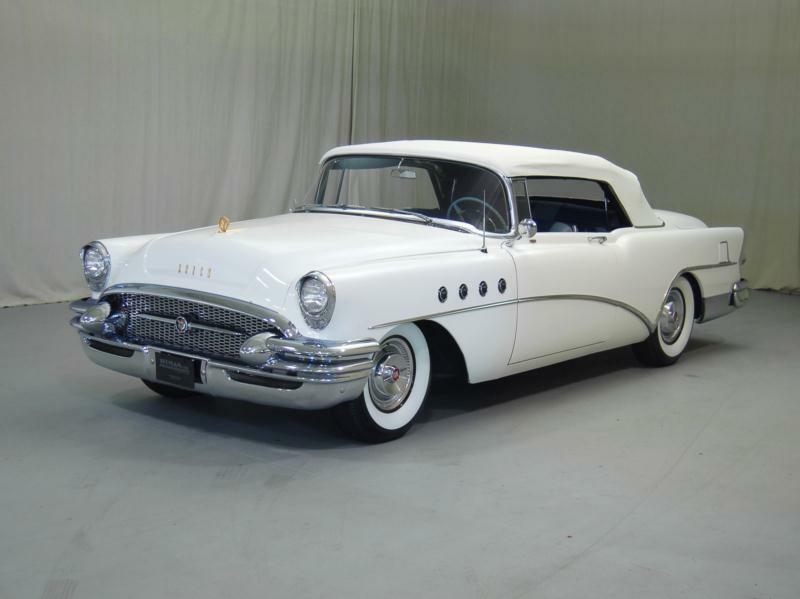 For 1955, Buick sales actually sailed right past Plymouth and was over 33,000 cars in front by the end of the model year sales tally. Roadmaster sales increased dramatically, and Riviera hardtop coupe sales increased almost ten-fold. The V-8 was still 322 cubes, but now belted out 236 hp using a higher compression ratio. 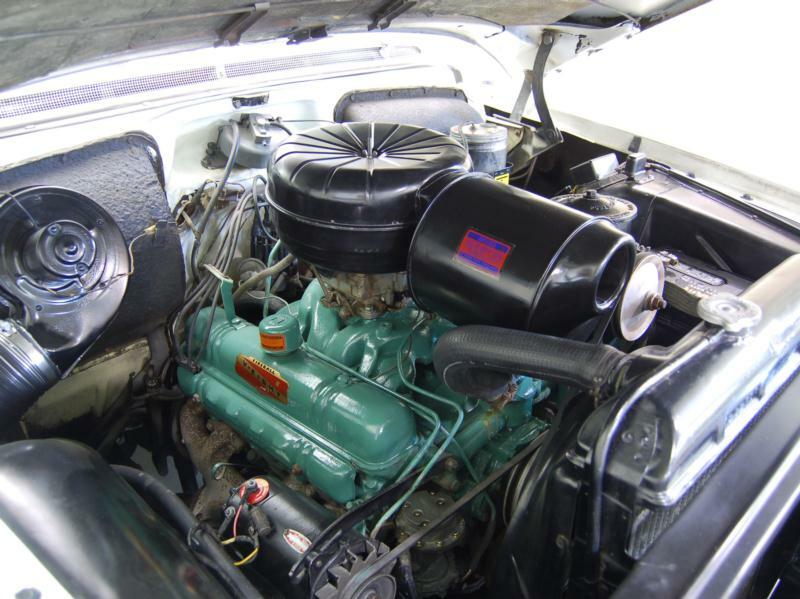 The Buick-built Dynaflow automatic had a new torque convertor vane system, enhancing performance so much that the California Highway Patrol purchased Buicks for police use that year. Style wise, the ‘55s looked fresh and new with a fine honeycomb grille that featured a big propeller-shaped center trim component. Inside, the Roadmaster gained new standard equipment, including back-up lights, clock, windshield washer and full leather upholstery on the convertible. Tri-tone paint combinations joined the two-tone paint selections on the color pallet. For 1956, the cars were mildly facelifted with the usual new grille, revamped trim and taillights. A new Riviera hardtop sedan (i.e. 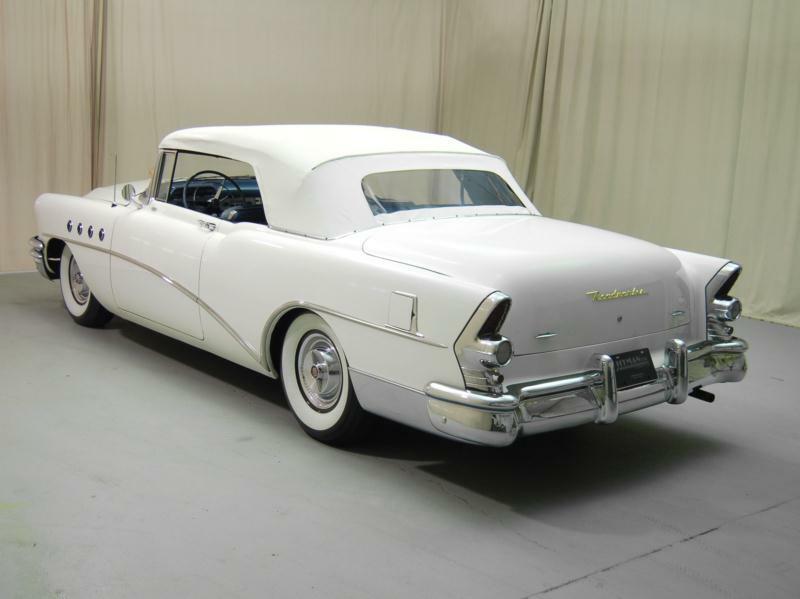 four-door hardtop) was introduced, and spot number three in the sales race was Buick’s once again. 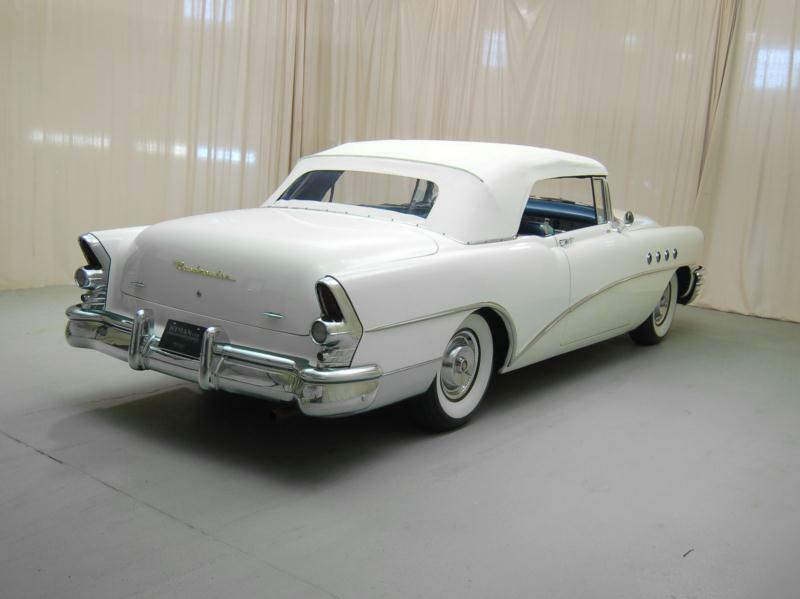 Click here to read Hemmings Motor News' Buyers Guide for the 1954-1955 Buick.